After saving a drowning man during a savage storm, Abby wakes up in a tropical paradise in a fight for her life. She has no idea how she got there, and notices changes in herself that she cannot explain. Haunted by unsettling dreams of her past, she sets out to escape, joined by Eric, who finds himself in the same predicament. Standing in their way is a madman, and his band of willing followers, with a mind set on murdering their unwelcome visitors. An eccentric hermit who has been living there for years offers them refuge, but they must deny his generosity. Escape is their only option. Yet, they discover this deceptive paradise is harder to leave than they had ever imagined. One mystery leads to another, until their escape throws them into even greater danger as Abby’s frightening past finally catches up with her. Her escape is only the beginning. WOW! This is an exciting roller coaster ride of an adventure! I loved it! Abby is a fantastic character. She is very bright, very strong and deadly! However, she also cannot remember certain details - like where she is, or how she got there. But she is one heck of a fighter! Eric is also in the same boat, so to speak. He too cannot remember how he ended up floating in the ocean. I loved his character. He seems to be very cool under pressure. As I started reading this novel, I thought "Oh, no! Not another Hunger Games wanna be!". However, this book may have some similarities, but the storyline is completely unique! Told from mostly Abby's and Eric's points of view, the story is attention grabbing! But, other characters have their say too, which gives this a movie like feel! This is a mix of "Extreme Survivor", "Big Brother" and a compelling romance! This book is full of action, adventure and danger that had me completely hooked! The characters are extremely lifelike. I didn't like a few of the other characters, because they are extremely "bad" and terrifyingly dangerous - especially Tom and Bryce! They made me shudder with disgust and revulsion! There are some twists in this tale that completely surprised me - Abby's history for one is an unpleasant revelation, but I can understand why she did what she could to escape from it. The romance between Abby and Eric is extremely sweet! The cliffhanger of an ending sent a shudder up my spine, and now I'm looking forward to reading the next book as soon as possible! David Antocci has written an exciting debut novel. This author is one to watch! His writing style is fast paced and extremely fluid. I think I will have to add him to my favourite authors list! David J Antocci is a noted wordsmith, blogger and author. His work can be read regularly in the Worcester Telegram and Gazette where he has spent many years writing about the trials and tribulations of being a real life Mr. Mom. 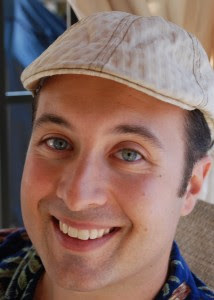 While his first love is music, he has put down the guitar in recent years in order to pour his passion into writing… and the gentle tap of the keys on his laptop are much less disruptive late at night when the children are sleeping. The ESCAPE books are his first published foray into fiction. He lives in New England with his beautiful wife and children. Probably in middle school. My sister and I changed schools when I was in 5th grade, and I had a very tough time adjusting, so I turned to reading. A few years later I started writing short stories that I would print out on our old dot-matrix printer and distribute to family and friends. I've pretty much never stopped writing since. It depends. ESCAPE, A New life is my first published novel. I chipped away at the outline for about a year while I was writing another book. That other book took me nearly two years to write. When I really got down to the business of writing ESCAPE, from the beginning to the final draft took about six months. Characters first. As a reader, if I don’t care about the character, I don’t care about their story. Beyond that, I think a great story comes down to adversity and conflict. Haha! I write whenever I can. Playing Mr. Mom to two toddlers by day, having an evening job, and a photography business I run – free writing time is hard to come by. Usually very early in the morning and very late at night when the rest of the house is asleep, I’m able to get some good work done. Every now and then I can sync up the kids nap times and find an hour in the afternoon as well. It’s not easy, that’s how I know I love it. That certainly is a challenge. I’m very fortunate that I get to take care of my kids during the day, however with my work schedule it’s very rare for my wife and I to be home at the same time. I try to use that time strictly for family time, though every now and then my wife will distract the kids so I can have a writing break. Where don’t I get ideas?! The world is an amazing place, and everyone has an interesting story to tell. If I've had a conversation with you, I guarantee that I've tucked part of our conversation away in the back of my head for a story idea. I also love to people watch, and make up stories about what I’m seeing. Even if I don’t have my laptop in front of me, I’m constantly writing in my head. That marketing a book is just as hard as writing one… if not harder! Three – this one is my favourite, thus I decided to publish it. The others were more of a learning experience for me, but who knows, with some tweaking, maybe they will see the light of day in the future. There are certainly elements of people I know that show up in characters, but no character is based on any particular person. Lots of authors will base a character on themselves. I remember reading an interview with Tom Clancy and they asked him who Jack Ryan (the Harrison Ford character in the movie versions) was supposed to be? He said, “Who do you think? He’s me!” I can’t say I did that either though. Well… maybe one character would be a wishful thinking version of Dave; I’ll let you figure out who that is though. I usually write at my kitchen table – however my favourite place to write is in a corner at Starbucks with a Caramel Macchiato in front of me – Grande of course! Well if you publish independently, it’s not that hard at all. Of course that’s the drawback – that it’s not all that difficult. Even if you’re not someone like me who is very technically savvy and can do most of the work yourself, there are plenty of people out there who will take care of the process for you – for a price. Given how easy that is, there are a lot of lower quality books out there. 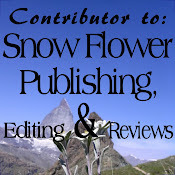 So the hard part isn’t getting published, it’s making your novel stand out as one of the good ones! So far they have all loved it. Of course my grandmothers have not read it yet… I feel that there’s definitely a lecture or two in my future. I've been a musician all my life, though with work and family responsibilities I haven’t played in a band for a few years, yet there’s still nothing more relaxing than sitting down with my guitar. These days I’m very into exercise, mostly running. I've done a few half marathons in the past couple of years. I’m still a voracious reader at heart, so when things are quiet you will find me curled up on in my chair with a good book. 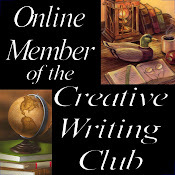 Keep writing, and have your writing critiqued. I've learned more through collaboration and critique than I ever learned in a classroom. Perfect grammar is great, but there are proofreaders and editors that can fix those things for you, concentrate on the characters and their stories. Keep writing stories, and finding stories in everyday life. If you’re struck with a good idea, even if you don’t have time to write, think about how you would write the story. In that same vein, when you get an idea, jot it down – there are a million free notepad programs for the phones – that way when you do sit down to write, you’re not starting from scratch. When I was a very young child in grade school I distinctly remember that I couldn't decide whether I was going to be Pope, or be the President. Neither of those career paths worked out of course, but I’m still young. When I realistically thought about what I want to do with my life when I got older, I wanted to be a teacher. I still do, and hope to find myself in front of a classroom for my second career a few years down the road. My tastes are fairly diverse. Jules Verne was the first author I really latched onto when I was younger, and I still enjoy reading his books. I just re-read Around the World in 80 Days last year. Alexandre Dumas is another one of my favourites, The Count of Monte Cristo is still the most enjoyable book I've ever read. I loved Last Night in Twisted River, John Irving can always be counted on for an inspired read. But if I just want to lose myself in a good book and not have to think too much, you can’t go wrong with John Grisham. I’ll read anything with his name on it, and love it! Being new at this myself, I’m probably not qualified to answer that one. I’ll be happy to in a few years though! The sequel of course! Writing is a passion, and there is so much more story to tell! 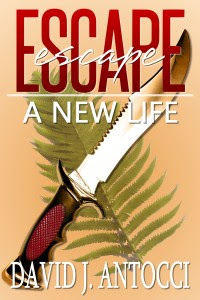 ESCAPE, A New Life, is the first in a series of three novels. I've heard from readers that they desperately want to know about Abby’s past! Well, I can guarantee you will learn all about that in the next book, and you won’t believe where she goes from there. The next book is scheduled to be release in late Spring, 2014! Join my email list or follow me on Facebook for updates and previews! Thanks for the review and interview Lynn! I'm so glad you enjoyed the book! Thank you for answering my questions! I loved your book! 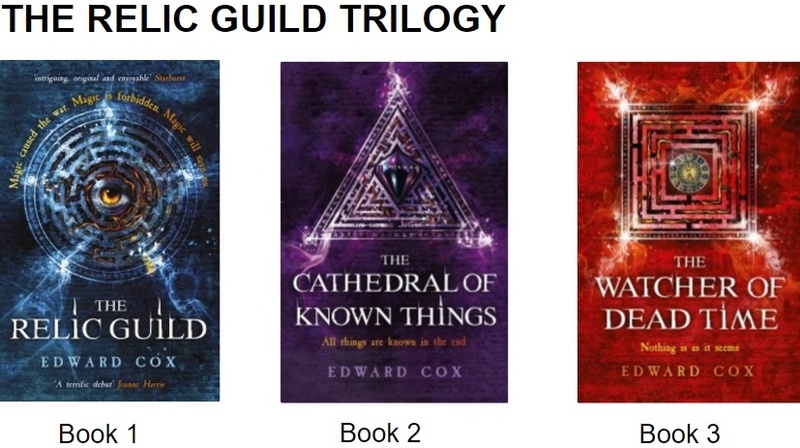 I would definitely love to read the next book when it becomes available.